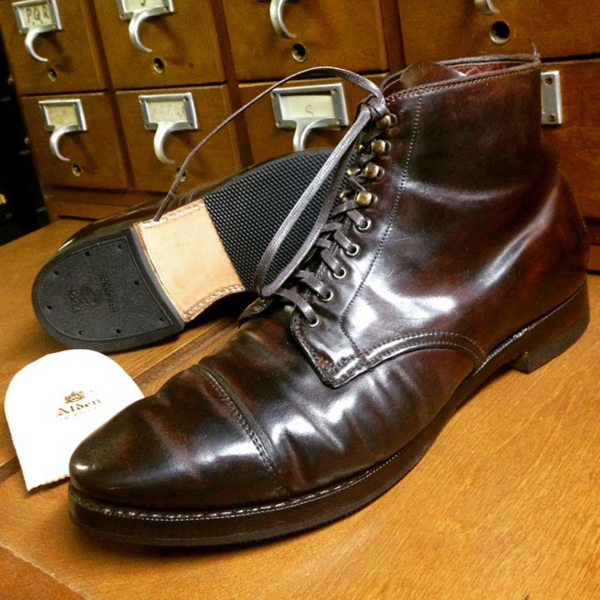 Although we all know well-made shoes can last for decades with the occasional resoling, it’s always amazing to see the before and after pictures of a shoe repair. 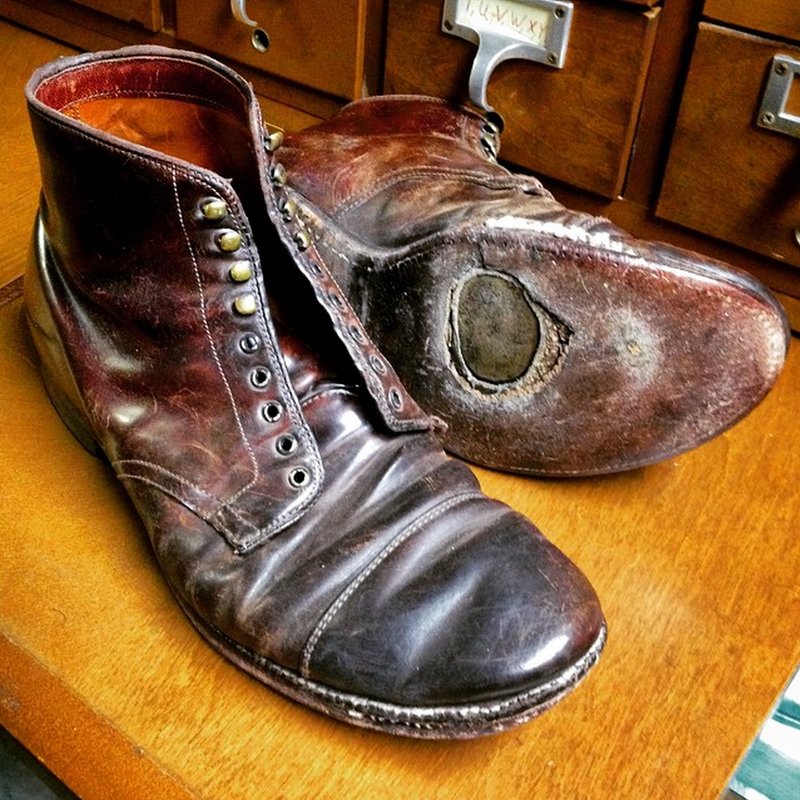 These beat up and near-destroyed shell cordovan Alden boots were brought into Moulded Shoe earlier this year. They looked like they’ve been through a war – the soles were worn past their corkbed and the uppers were heavily scratched and discolored. You can visit Moulded Shoe in NYC at 10 East 39th Street. For those outside New York City, they’ll also take mail-ins.